Another treat from Spyderco is this Pingo "ClipJoint" titanium folder with anodized bug logo and a premium Elmax steel blade. 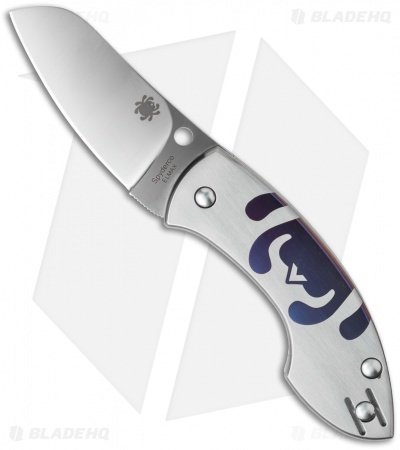 The heart of the Pingo is its distinctive sheepfoot blade, which is designed to meet Danish legal length limits while still providing a very functional and versatile cutting tool. 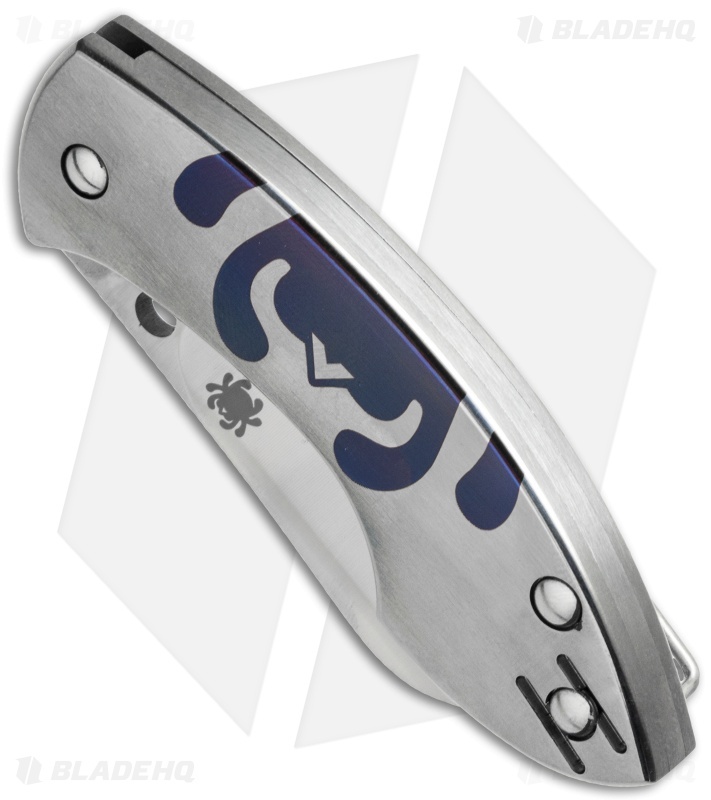 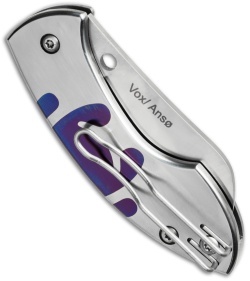 Its Trademark Round Hole clearly identifies it as a Spyderco knife and provides a handy purchase for two-handed opening, but the hole is purposely small to prevent one-handed blade-opening methods. Similarly, its stout notched-joint mechanism is powered by a strong spring that helps hold the blade securely in the open and closed positions, supporting its safe use as a cutting tool while precluding one-handed opening.